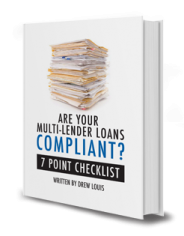 WHAT IF SOMEONE IS WILLING TO ASSUME A LOAN – EITHER AS A LENDER OR BORROWER? | Del Toro Loan Servicing Inc.
WHAT IF SOMEONE IS WILLING TO ASSUME A LOAN – EITHER AS A LENDER OR BORROWER? Re Borrower: We can prepare the necessary papers to complete an assumption, assuming Lender approval. Typically, the Borrower is responsible for the fees associated with the transaction. Costs can range from a few hundred dollars to a percentage of the loan amount. Re Lender: Should a Lender wish to assign their interest, we can prepare the necessary documents, obtain the proper title company endorsements and escrow the transaction. AAA Private Money has worked with Del Toro Loan Servicing for many years. We have found their responsiveness to be the best in the industry, and the quality of the work they do has always met or exceeded our expectations. We have formed lasting relationships with all of the staff and ownership and look forward to a long and prosperous relationship for many years to come. I appreciate your attention to detail in the discovery of the accounting miscalculation in my favor. Drew, you and your whole team represent the highest standards of integrity. It is very much appreciated. Again, a very heartfelt “Thank You” to you and the entire staff at Del Toro for all of the effort put forth on my behalf in order to bring this transaction to a successful conclusion. California Private Lenders has been working with Del Toro Loan Servicing for eight years now, and it has been a great experience. Not only do they have a great servicing department, but they also do all of our loan/lender documents. The customer service has been beyond spectacular. If you want to deal with an honest, competent and reliable servicing company that will put you as a priority, you can count on Del Toro. During our two years working with Del Toro, we have always experienced outstanding customer service and professionalism. Leah Ecija, who handles our accounts, exudes professionalism in any situation. Del Toro always goes above and beyond the call of duty. Their positive attitude and cheerful disposition are an added bonus. It is a joy to work with them. AJX Homes has worked with the Del Toro Loan Servicing team since 2010. We can’t say enough about how much they help make our flipping business run smoothly, from purchase to resale! Helping us quickly prepare and process loan documents for investors and escrow is the key to repeat business. We appreciate all the help Drew and his team have given us throughout the years. I have reviewed the loan documents and, as usual, Del Toro (Katherine) has done an excellent job. Drew, Here’s to the man with the courage to fight, Here’s to the man, who did not let the bastards grind him down, I am grateful for all your efforts on my behalf, Here’s to the sweet smell of success. “Yes,” Pensco wanted the fully executed extension this morning and I had it! Both PS Modern and I have found you to be a wonderful person to help us. You have been positive and upbeat about making this easy for all of us! Thank you! Catching 100 waves at the event reminded me of how powerful a community can be. Just to share a little, I’m really proud that my ten person team raised $40,000!! That is enough to open two new schools this year. The total event has raised $350,000 and donations are still coming in. I won’t soon forget your individual impact in all of this. Sincerely, thank you. Recently, Sequoian Investments, Inc.’s success was recognized by the San Diego Business Journal as San Diego County’s Number One Fastest Growing Company for 2016- a list which represents companies in every sector of San Diego’s business community. One of the ways we maximized our success was to strategically align ourselves with industry experts who share the same values of our company. One of those companies is Del Toro Loan Servicing, Inc.
Del Toro’s ability to tailor services to our specific needs (Loan Processing, Doc Drafting and Servicing) not only helped us achieve the success we’ve experienced, but also landed Del Toro in ranks of the “Fastest Growing Companies” San Diego as well. We consider Del Toro a valued partner and we highly recommend anyone In the industry consider them as their primary resource or as a backup partner when your workload demands it. You are doing an excellent job in sorting out this rather complicated matter. I am very pleased with your help on our case. You were very knowledgeable and accessible when needed. I think that your identification of issues was helpful in obtaining a fair settlement of the case. I would highly recommend you to any persons with a need for an expert witness in the note/deed of trust /securities law field. Thank you gain for the wonderful service. © 2015 Del Toro Loan Servicing Inc.